We educate, counsel and collaborate with clients so strategies and recommendations specifically address our clients’ goals. We believe it’s important to contribute and give back in the communities in which we work. 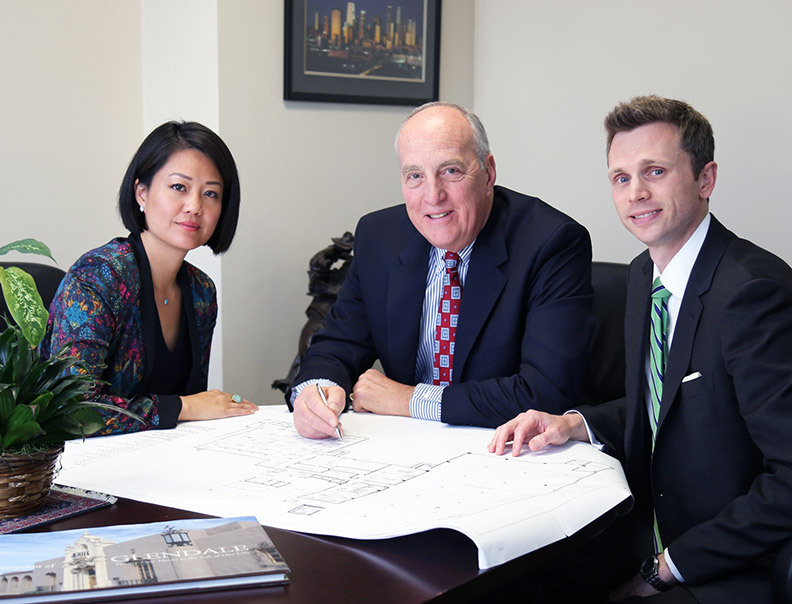 Bill Boyd and Linda Lee have worked as partners since 2000 when both worked at a national commercial real estate firm where they began their work together assisting both landlord and tenant clients. 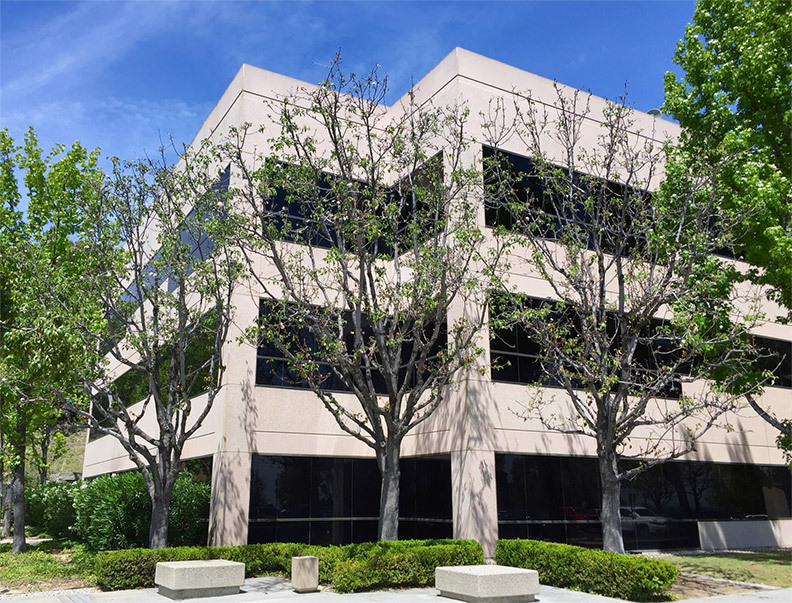 Their landlord assignments have included some of the largest office developments (such as the one million square foot project, The Alhambra), to office tenants ranging in size from 1,000 to 100,000 square feet. The Glendale Chamber of Commerce recognized Boyd as its “Man of the Year” in 2002 for not only having leased, on behalf of landlord clients, 10 of the city’s largest 14 office buildings over the previous 20 years, but also for his community service and “giving back” to the community. Lee also served as the Chamber’s Chairman of the Board of Directors in 2014-15. “Several brokers in the Tri-Cities office market are from outside the community,” said Lee. 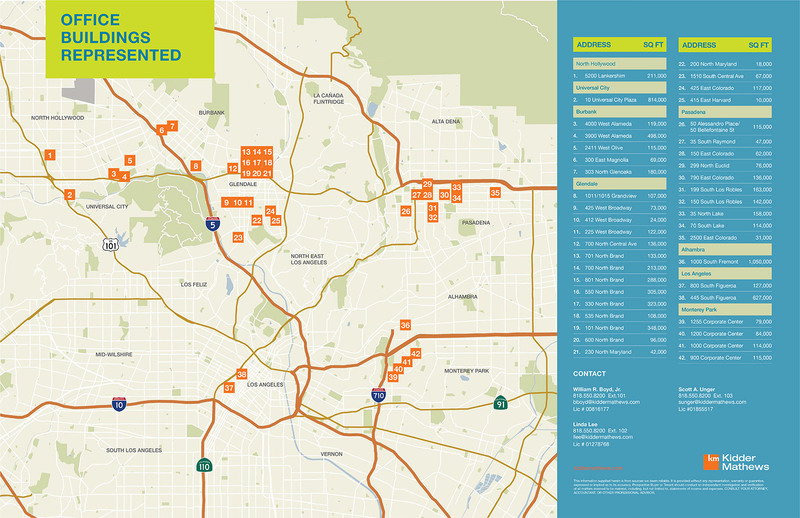 “We believe it’s important to contribute and participate in the communities in which we work.” The City of Glendale retained the team in 2013 to exclusively represent the City, as the tenant, in its 20,000 square foot lease negotiations for the Verdugo Workforce Investment Board, one of the City’s divisions. Boyd’s additional community service includes serving at the Chairman of Pasadena’s Foothill Family Service agency.